Dr. Steve Lindemann believes we can learn a lot more from our gut microbiome. 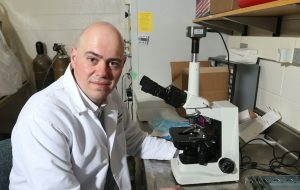 His current research, in partnership with Purdue’s Whistler Center for Carbohydrate Research, is to find out more about how our dietary influences shape the gut microbiome, and its effects on our overall health. Advances in these spheres hold the potential for identifying dietary solutions to health problems by influencing the gut microbiome. The Whistler Center serves as an industrial and academic collaboration portal to give definition to dietary carbohydrates and what they’re doing to our health.